San Diego Comic-Con is happening as we speak and we’ve got a neat bit of Bat-news for you. Going clockwise, that’s the Joker a la A Death in the Family, The Killing Joke and 1940’s Batman #1 — his first appearance. Also interesting? 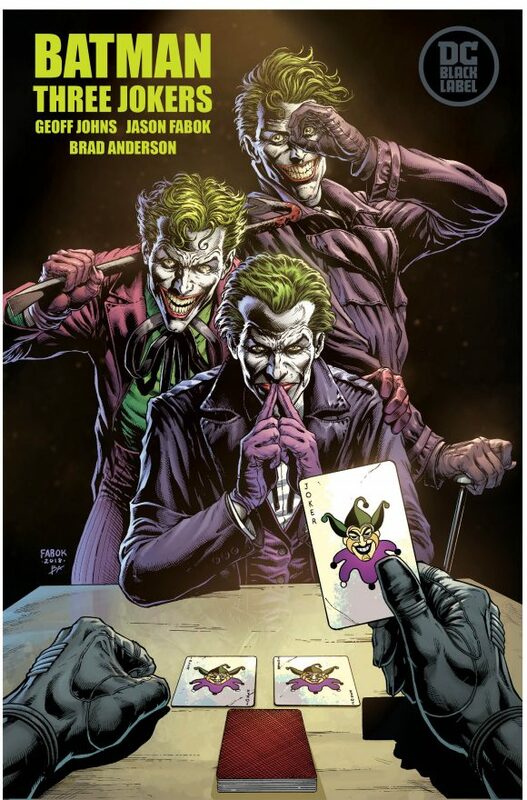 That it will be published as part of DC’s new Black Label imprint, which is designed to give creators edgier latitude. Given that the storyline was introduced in DC’s main books, it appears that this is the first in-continuity series under the banner. No date yet, but there’ll be plenty of info in the months ahead. — The JOKER’s ‘True Name’ is … (SPOILER ALERT). Click here. — DC, Johns Plotting to Finally Reveal Mystery of THE JOKER’s Identity. Click here. These Jokers sure ain’t no joke.